For many people, competing in an Olympic Games in your home country might be the highlight of your career. But for Antony James, the memories of London 2012 are part of what drives him to improve in the sporting and academic arena. The born and bred Plymothian, already a Commonwealth Games silver medallist, qualified for the 100m butterfly and swam in front of a rapturous home crowd, going up against the most successful Olympian of all time, American Michael Phelps. "Getting to the Olympics made all the hard work worthwhile and there were many people to thank for helping me get there, including University of Plymouth," says Antony, who received a 150 Scholarship to support his Olympic bid. Previously one of the University’s Sporting Excellence scholars, Antony worked his way up through the squads at his club, Plymouth Leander, and competed in his first national championships at the age of 11. He loved every minute, with it sparking an enthusiasm for the sport which endures in spite of the rigorous demands of being an elite sportsman. Combining more than six hours of training each day, studying for a degree in psychology and meeting the demands of competition was not easy. Antony recognised the backing he received from University of Plymouth was key in his quest to succeed. "Knowing I had the support of so many people at the University really did make every aspect of my degree, training and sport easier," says the former Devonport High School for Boys pupil. 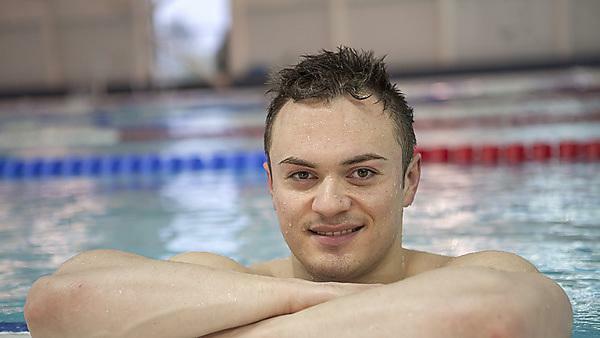 Find out how Team GB Olympic swimmer and Commonwealth Games silver medallist Antony balanced training for more than six hours a day with his BSc (Hons) Psychology studies. The stars of the future are being offered the opportunity to achieve their sporting and academic goals thanks to the Sporting Excellence Scholarship at University of Plymouth.